Hotels in Bordeaux are on the expensive side, good luck finding a good deal. 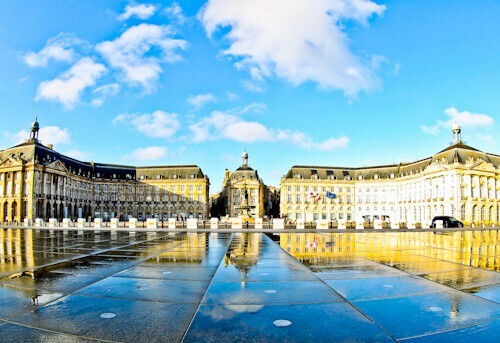 Place de la Bourse is the iconic building of Bordeaux. It is a very Instagrammable building. What makes it so Instagrammable is the reflecting pool opposite. The reflecting pool is located between the road and the Caronne river. It’s known in French as ‘le miroir d’eau’. The pool will regularly fill up and drain water throughout the day. When the water is drained from the pool it’s your chance to get the perfect reflection shot. If you take this shot late evening with a tram going past I’m sure it will do well on Instagram. During the night the pool will not fill up with water. Don’t go early morning for sunrise expecting a reflection! Bordeaux cathedral dates back to the late 11th century. It’s architectural styles are a mixture of Romanesque and Gothic. In the days when the French had a royal family, King Louis VII got married here (before he was king). I found this cathedral to be more beautiful than the Notre Dame in Paris. There are a lot less people visiting it too so it’s also more peaceful. 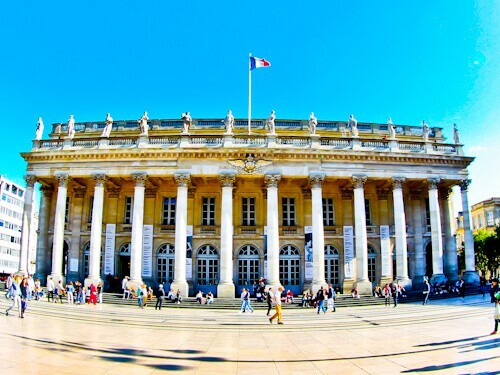 It’s part of the UNESCO historic center of Bordeaux. The Grand Theatre de Bordeaux was completed at the end of the 18th century. It was designed by Victor Louis who also designed famous landmarks in Paris like the Comedie Francaise. There are often opera and ballet performances in the theater. The theater is one of the oldest original wooden opera theaters remaining in the world today. Even if you’re not going to watch a show it’s worth checking out the exterior with the 12 statues lined on the roof. The Eiffel footbridge was the first major project of Gustave Eiffel. Construction of the bridge crossing the Garonne river was completed in 1860. The bridge has survived both world wars. 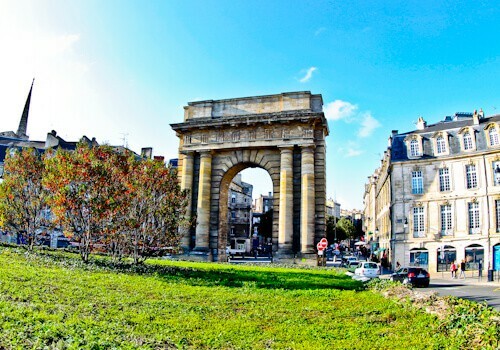 It was going to be destroyed recently but Bordeaux risked losing its UNESCO status if this happened. It has since had each end chopped off and lays there abandoned. This is a shame as Gustave Eiffel is arguably the most famous architect in the world. It’s interesting to see where he began on his journey to creating the Eiffel Tower. A bridge you can still use today is Pont de Pierre. This is known in English as the Stone Bridge. The Stone Bridge was completed in 1822 making it the first bridge to cross the Garonne river. The bridge has 17 pillars which is the same number of letters in the name, Napoleon Bonaparte. The white medallions on the each side of the bridge are there to honor him. I must confess I would have preferred to cross the Gustave Eiffel bridge! The Tour Pey Berland was built in late 15th century. It is the steeple and it’s separate from the cathedral. I have seen something like this in Utrecht. The Dom Tower is separated from the cathedral because a storm destroyed the nave. The Tour Pey Berland however, was designed to be separate. They built it separately so the bells did not vibrate the cathedral and potentially damage it. The Burgundy gate is known in French as Porte de Bourgogne. It was completed in 1755 and is historically the main gate to the city. It met the old road from Bordeaux to Paris. It is similar in design to the Arc de Triomphe in Paris. Around Bordeaux you see lots of 19th century mansions. You’ll also see lots of trams transporting people around. These 2 things make a good combination for Instagram photography. 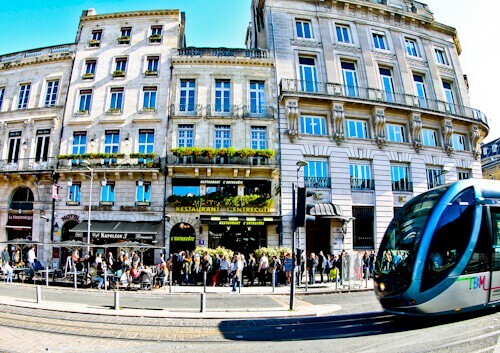 If you’re going out of the city center you may need to board a tram. 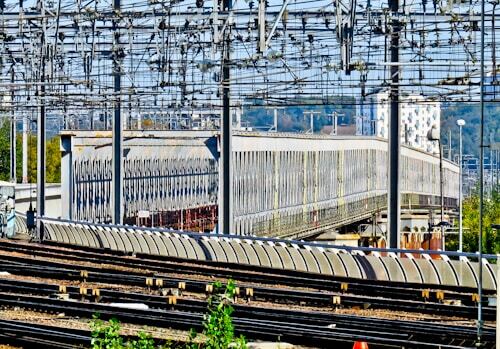 It’s possible to reach the Bordeaux football stadium by direct tram from the center. There are direct trams to the train station which you may not want to walk to with your luggage. Bordeaux is the home of a famous football stadium. 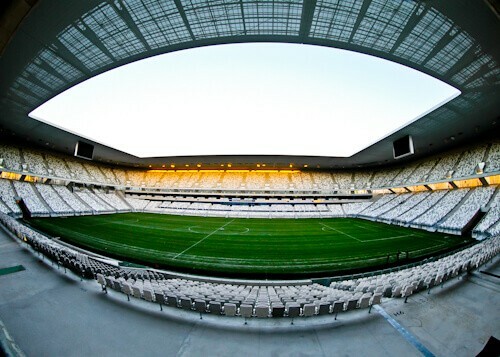 The French Ligue 1 team Bordeaux play here. The full name of the football team is FC Girodins de Bordeaux. They are recent Ligue 1 winners. Famous French players such as Zinedine Zidane and Eric Cantona have played for Bordeaux. The stadium is called the Matmut Atlantique. It hosted some games in Euro 2016 including the quarter final between Germany and Italy. If you are lucky Bordeaux will be playing at home when you visit. If not you can take a stadium tour. The Flixbus stop is very close to the Eiffel footbridge. If you didn’t get chance to see it yet then whilst waiting for your bus could be the best time. The journey time to Toulouse is around 3 hours. A ticket costs about the same as a French baguette which is great value. As always there are plug sockets and free WiFi so you can stay connected the whole time. I’ve wanted to visit Bordeaux for a while now, I think the Place de la Bourse is just stunning. In fact, it reminds me a little of some of the buildings in Lille. I didn’t realise how expensive hotels in Bordeaux were though, so thanks for the tip! What incredibly well preserved buildings given some of their ages! 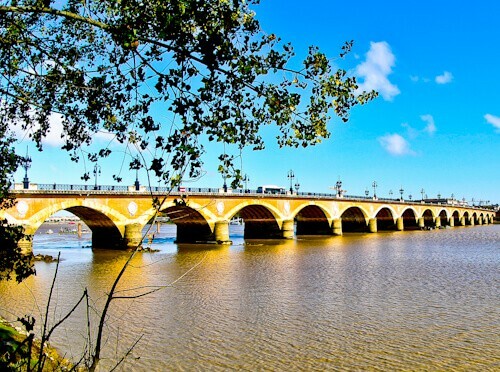 I did not know that Bordeaux’s whole historic centre was UNESCO listed but now I do and feel very inspired to visit for more than just the wine of the region! Thanks for the tip on how to get there by bus, saving money on transport sounds like a must if the hotels are as pricey as you say! Oh my how I would love to visit Bordeaux. Of course I have heard so much about this part of France due to its wine – but wow is Place de la Bourse so magnificent! Walking across Pont de Pierre would be interesting to see Bordeaux from the bridge. I can imagine that it would be more expensive to stay here, but from what you have shared it seems worth it. That’s so great to know there are so many things to do in Bordeaux. I’d definitely take your advice and Instagram the hell out of Place de la Bourse, that reflective pool is beautiful! I’d also love to visit and photograph the Grand Theatre. James your photos are stunning as usual. Even though Bordeaux and toulouse are very close to where I live, I have never been. 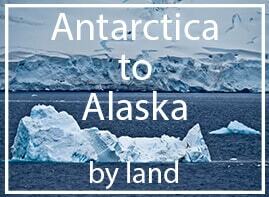 It would definitely be worth a trip by bus to visit both cities. I remember seeing the Germany Italy game in the Bordeaux stadium. I’d love to visit it for either a live game or a stadium tour, it’s such a unique structure. I would also love to photograph behind the reflecting lake, what a great idea for tourists! Travelling through France outside of Paris must be a real treat. Living in London, France has always been one of those places that I say “I can always go there” etc. and end up never seeing it. Will need to start looking into weekend trips and get out to see more places like Bordeaux. Bordeaux, so much history and amazing architecutre I have only ever heard about the wine from here but the place really looks amazing! I have never been to France before, looks like I will have to add it to my list! The only thing I know about Bordeaux up to this point is its wine haha. Who knew it’d be so picturesque! The architecture here is so grand and beautiful. I can see why itd be every IGer’s dream! 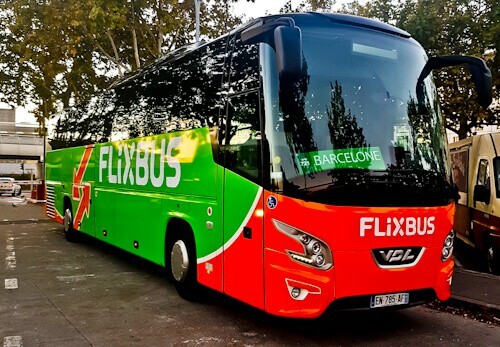 I’ts been ages since I’ve been to Bordeaux… reading your article really makes me want to revisit the city 🙂 As for the Flixbus: I’d recommend folks to sign up for their newsletter. Sometimes they have some great 50% off deals – a nice way to go on some cheap weekend-trip. wow I had no idea Bordeaux is so beautiful! Ive been only in two cities in France but I really would love to go back there one day and explore more! That Place de la Bourse looks so beautiful, and yeah I definitely seen it a lot on Instagram! 🙂 That Grand Theater looks fabulous too ! Bordeaux has so many Instagram spots. That reflecting pool is simply stunning. Indeed the trams do look lovely with the houses as the backdrop. This place is a photographers paradise. What a lovely view. I mean the city is so beautiful. Every bit of of it speaks ‘come see me.’ I’d love to walk on the Pont de Pierre bridge. It’s so glamorous. And the stadium? Evey where about Bordeaux is would make nice shots. Not surprised its expensive visiting but who cares? I get to see all of these. Wow so beautiful! Bordeaux is so instagrammable, who knew!! Haven’t been to France in ages so perhaps I am due a trip! The place looking amazing, most of the travelers plan to visit Paris first when they plan their trip to France, but I will surely be looking to visit this place. Oh wow, amazing photos! I’ve never really had Bordeaux on my list to visit but you make it look and sound so good. I’d love to photograph the iconic building from the reflecting pool, it sounds an interesting way to photograph it. Obviously the old town being a UNESCO site is a big pull too! I have been wanting to a roadtrip around Bordeaux. Would be a lovely drive visiting vineyard and photographing these stunning architectures. And added bonus its a UNESCO Heritage sites too. 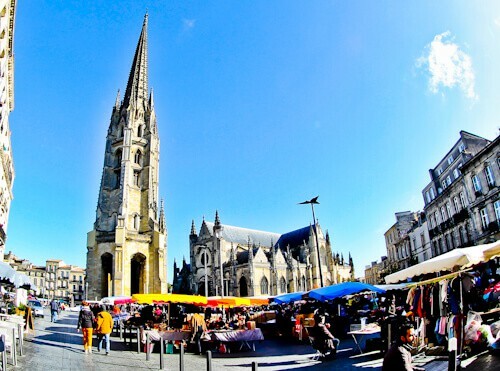 Absolutely love your photos of Bordeaux! Its one of our favourite stops in France. Although it looks like you got much better weather when you visited than we did! 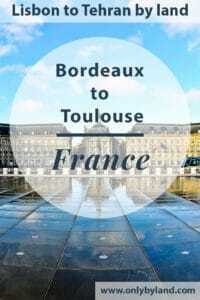 I’ve never read about things other than wine tours to do in Bordeaux. I had no idea how beautiful the center was or that it’s a UNESCO site. The church with seperate Bell Tower is a must see, so unique! What a beautiful photo shot with a reflection of the Place de la Bourse. 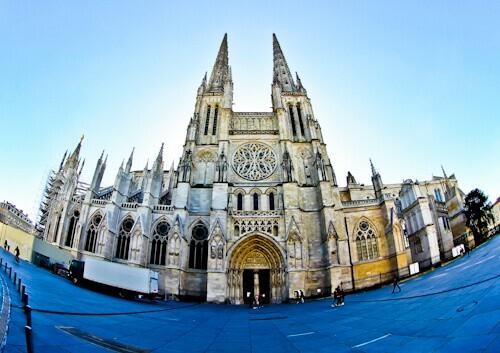 Also, the beautiful Bordeaux Cathedral looks like a wonderful place to visit. Such a great price to take the bus from Bordeaux to Toulouse. 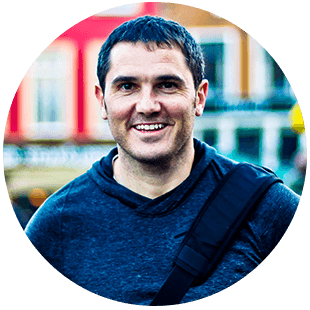 Pinned for later….thanks for sharing!